Situated in the Western part of the Sibiu County, the Secașe Land has its villages mostly on the hills and the valleys of the two rivers – the Big Secaș (Secașul Mare) and the Small Secaș (Secașul Mic). 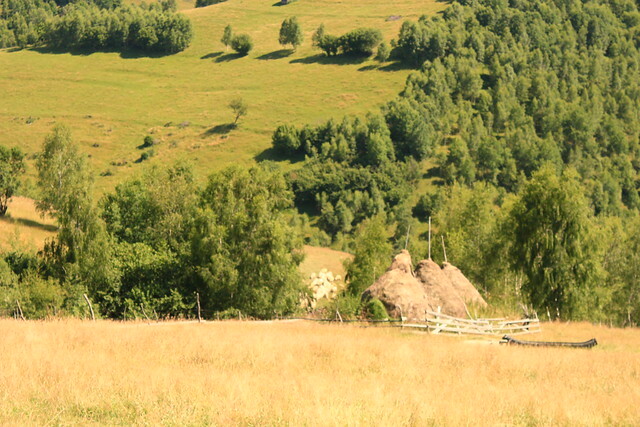 Some of its most known villages are Miercurea Sibiului, Apold and Șura Mică. Less known and less visited than the other regions of Sibiu, the Secașe Land has more than 80% of its surface covered with pastures. Which makes it the ideal place for agriculture and animals growing. Lots of this area’s history is strongly linked to salt. Even from the time of the Roman Empire, salt mines existed and a ‘salt road’ was known from many centuries. In Ocna Sibiului is where the salt was to be found and the last salt mine closed in 1931. Most of the salt mines collapsed and turned into big salt lakes that are now open for the wide public. Of course that, during the time, many people have wondered and settled on this land, like in other parts of the Sibiu County and in Transylvania, in general. Romanians settled mostly in the Northern part of the region, landlers in Miercurea Sibiului, Apoldul de Sus and Apoldul de Jos, Saxons in Ocna Sibiului and Șura Mică, Hungarians in Ocna Sibiului and Roma in most of the villages. All these people have left their marks over time and have created the authenticity that the Secașe Land has today. The gastronomy of the area is very much linked to all the people who have lived together on this land for many centuries. And of course it’s also linked to the fact that this land is so fertile and it gives all the ingredients needed for any type of meal. If it were to name a few traditional recipes, I would say Brodenlawend Soup, a Landlers recipe, with pork and beef, bacon, lots of vegetables, sour cream and eggs. The Landlers are again the ones who brought to this area the Gooseberries Soup, a sour soup, perfect for the shot summer days. From the Alămor village comes the ‘Zamă de crechiță‘ – a soup made with vegetables and sausages and seasoned with paprika and tarragon. Wine is still being produced in the area, in the Apold Wineyards. Wine was brought to the Secașe Land as early as the XII century by the Cistercian monks. Doing so much agriculture and growing animals also means that local products are to be found in almost all the villages of the Secașe Land. In Alămor we have the Fegu Baked Bread, Merindele din Ardeal (traditional meat based products) from the farm in Păuca, diary products from Mândra and fish from the same village, apples and apple juice from Slimnic and Șura Mică, traditional dessert from Șura Mică, vegetables from Micăsasa and Apoldu de Jos. In Sădinca you will find bio chicken meat and in Păuca you will find sunflower or walnuts cold pressed oil. 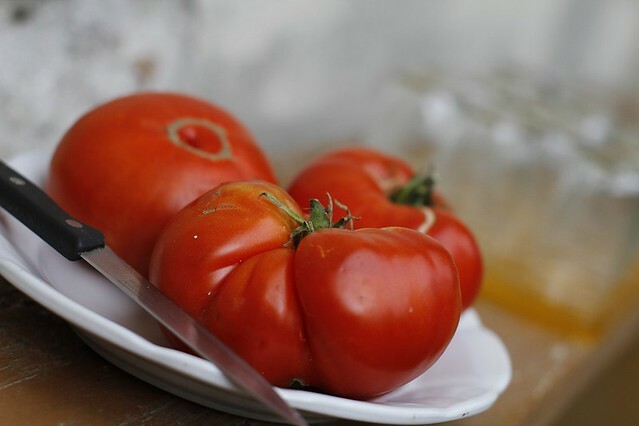 You will find most of these producers in the villages or in the local markets in Sibiu. You will also find a full list of local producers from the Sibiu county, including the Secașe Land in the local guide that the Tourism Office from Sibiu recently published. In terms of activities, there’s plenty you can do, once in a village, away from all the big city noise. There’s so much to see, do and taste that a short vacation is never enough. Biking on the ‘Salt Road’ is a very good option to be active during a visit in the Secașe Land and also to get you appetite high for all the traditional recipes the area has to offer. The trail was marked and a map with the trail can be found HERE. Also check out the Tură în Natură Facebook page, they regularly organize bike trips in the Sibiu County. Swimming (more exactly floating) in the Ocna Sibiului Salt Lakes. There are about 14 salt lakes, naturally formed here, visited every year by thousand of people for relaxation, but also as a way of treating different diseases. 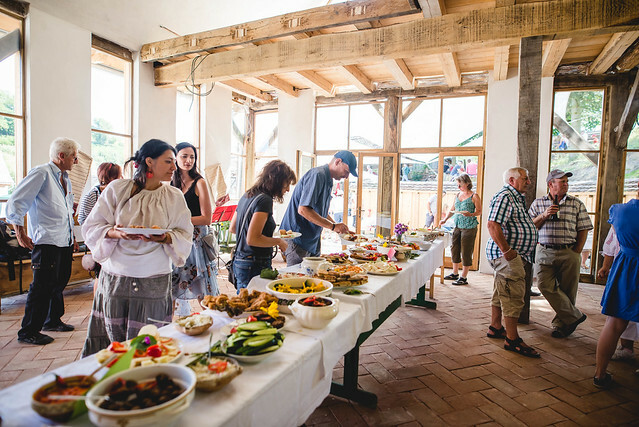 My Transylvania Association brings local tastes back to life and they organize brunches in some of the villages of the Secașe Land. 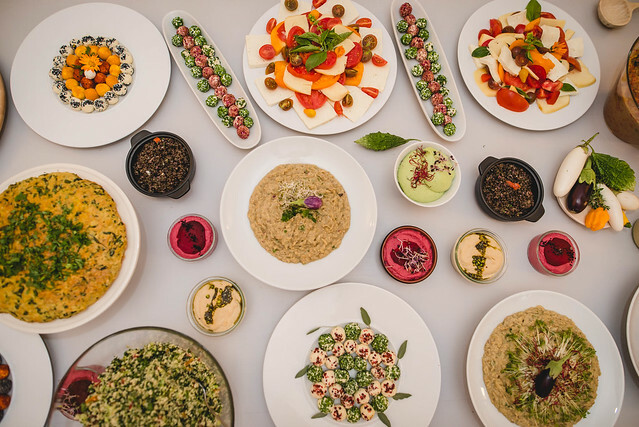 So if you want to experience the gastronomy of the area, these events are exactly where you have to be. 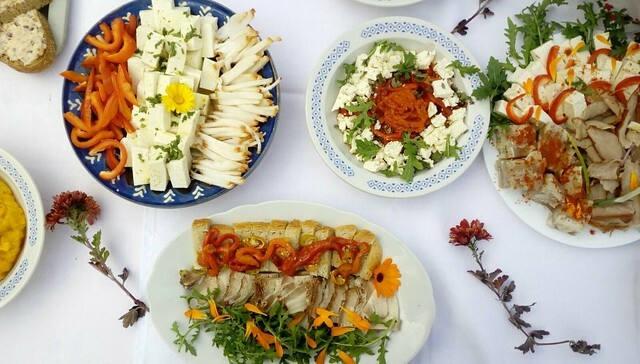 You can see all the available events and book a place on eat-local.ro. Visit the ‘At My Neighbours Museum’ in Apoldu de Sus. This is a small local museum in the village, with objects and artifacts from the people of the village, with traditions, crafts and lots of stories. A visit to the fortified churches in the villages and to the Slimnic Citadel. In terms of accommodation, Ocna Sibiului has lots of guesthouses and you will find a full list of places to spend the night in the Sibiu County (and in Romania) HERE. But if you’re in the area, you can try Grosspold Guest House or the Casa Bună Guest House.